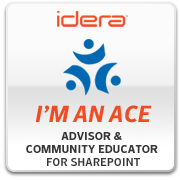 This past summer, Idera introduced a program to the SharePoint community – an expansion of an existing program for the SQL Server community – called the Advisor and Community Educator (ACE) program for SharePoint. 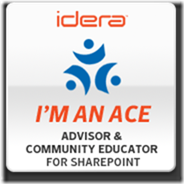 The ACE program is one of Idera’s ways of contributing to, and investing in, the SharePoint community by assisting active community members by sponsoring their travel to SharePoint events. This allows those of us who don’t have large companies supporting our community efforts to go to events we might not have submitted to. In exchange, we recognize Idera for that sponsorship and community contribution. We don’t advocate for their products or company as a salesperson would, but we are given access to their products to learn about them ourselves and provide feedback to Idera. I was lucky enough to be selected to be part of the first ‘class’ of SharePoint ACEs along with John Ferringer, Liam Cleary, Nedra Allmond and Michael Lotter. We only get to participate for a year, after which a new class will be chosen. Being this was the first year that Idera offered the program, the community exposure was pretty low – spread by word of mouth. We hope there will be a lot more interest in it next year as word gets out. My first trip through the program was to attend the Ozarks SharePoint Saturday a few weeks ago. I hope to get some more trips in and make the best of the opportunity. It’s that time of year again. Planning is full speed underway, speakers and sessions have been selected, the schedule is posted, sponsors are lining up and we have registration open for the next SharePoint Saturday here in the Twin Cities, MN. For the official event site with Session, Speaker and Sponsor information – go HERE. For the Registration site – go HERE. 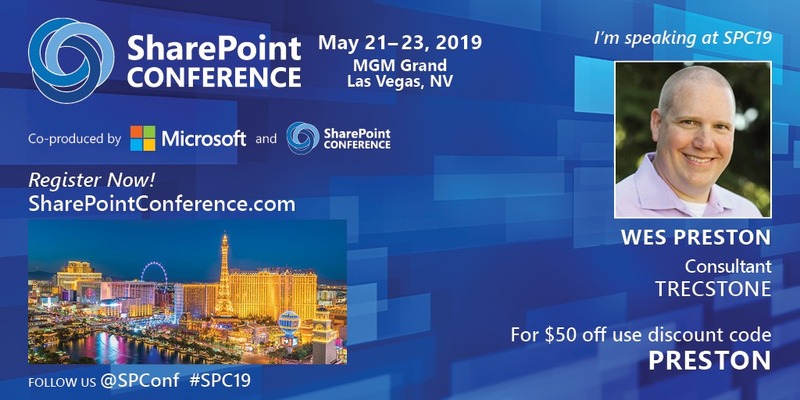 We’ve got 8 concurrent sessions planned, including a 101 (Intro to SharePoint) track, Development, IT Pro/Admin, Information Worker track and a Hands-on Lab. We’ve got 600 tickets open for the event. At a minimum we’re hoping for more than the 500 (sold out) registrations we had at the last event. I’m hoping we sell out again. Sign up, tell your friends and co-workers and start figuring out your schedule for the day! January 1, 2012 – Got word early that I was re-upped for 2012. A big Thank You goes out to Microsoft and the SharePoint community for another year being recognized as a Microsoft SharePoint MVP. I am honored and humbled to be recognize in such a rich community filled with great speakers, authors, forum participants, consultants, vendors, users, and customers. I don’t want to say that the honor is bitter-sweet, but while I am very excited, it does make one stop and think about all the people that make up our community: both those that are recognized and those that should be. The SharePoint community wouldn’t be what it is without everyone that participates and contributes on a regular basis. It’s risky to name a few because there are so many, but a few I want to mention are: Raymond Mitchell (@iwkid), Sarah Haase (@sarahhaase) and Mark Rackley (@mrackley). So, what do we have to look forward to this year? We are planning 2 this year in Minnesota (Twin Cities) starting with the first on April 14th. Last fall we had over 400 people in attendance! Likely with the first tidbits about vNext! Another fun year ahead in the SharePoint world – I hope to visit with lots of you throughout the year. Now, keep an eye on the SharePoint Saturday Twin Cities site. Registration will be opening soon! The next SharePoint Saturday event in the Twin Cities will be taking place in just over a week on Saturday, October 29th at Normandale College in Bloomington, MN. If you haven’t already registered – do it now. 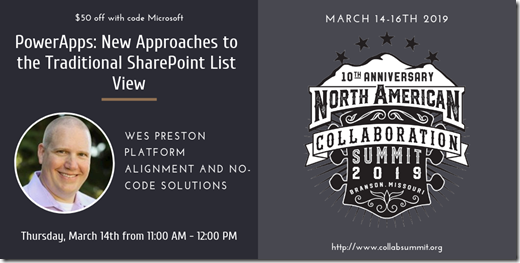 We’ve already got over 400 people registered to attend a day of fun with the SharePoint Community in Minnesota and surrounding areas. 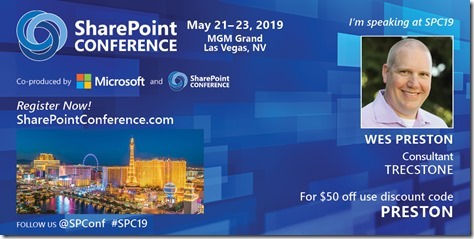 Come and learn about SharePoint and Office 365 in sessions for for users, developers, administrators and people new to SharePoint and SharePoint Online. We’ve got 25 speakers giving 27 sessions in 7 tracks through out the day. This includes two new tracks that we’re excited about. 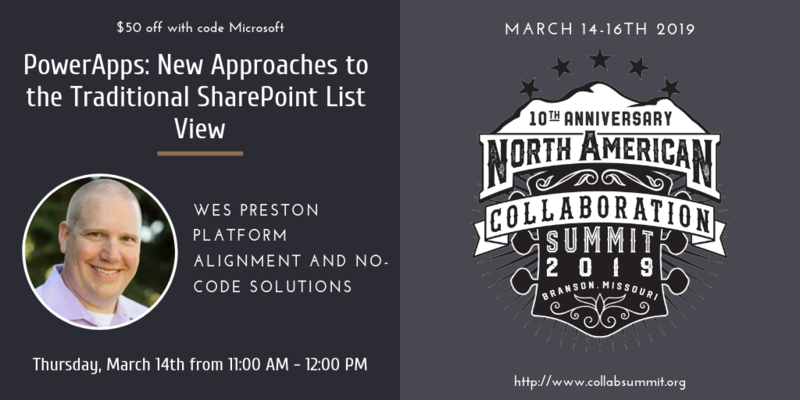 We have a SharePoint 101 track featuring several national speakers as well as a Hands-on Lab track being managed by Mindsharp. Be sure to come and visit all of the sponsors that make the event possible. Check out the schedule and tell us which track you’re likely to attend most of the day. Also, check out GuideBook as an app for your iPhone or Android device or m.guidebookapp.com on other devices as we’ll soon have our event information available there as a tool to use during the event. SharePoint Saturday Columbus (OH) was held a few weeks back on August 20th. The organizers did a wonderful job organizing the event and pulling everything together at a nice venue and pulled together about 130 or so attendees. I presented my Lists: Used, Abused and Underappreciated session in the first time slot of the day, had decent attendance (25 or so) and fantastic participation throughout the session. If you weren’t able to stick around until the last timeslot of the day, Jennifer Mason did a session on simple dashboards which was an excellent follow-up to the content introduced in my session. Check her slides out – HERE. My apologies for the delay in getting the slides out there – I had a slight detour on my way home and was off the grid for 5 days or so – only now getting back up to speed. My slides can be found on SlideShare – HERE. This past weekend (4/30) was the SharePoint Saturday event in St. Louis. The folks in charge did a wonderful job organizing and bringing in attendees. We had a beautiful day in St. Louis. While great weather usually translates into lower attendance, we still had over 170 folks signed in. Campus was beautiful and the logistics were well organized. Thanks to all the organizers, which included, but were not limited to: Matt Bremer (@mattbremer), Becky Bertram (@BeckyBertram), JD Wade (@JDWade) and others. I delivered my SharePoint Lists: Used, Abused and Underappreciated session. It’s a 100 level session talking about list best practices and constructed around the Best Practices Conference approach. Next stop will hopefully be the Chicago SharePoint Saturday event on June 11, though I’ll also be in attendance at the Minnesota SharePoint User Group meetings between now and then. Great job guys! Thanks for the invite and hospitality!